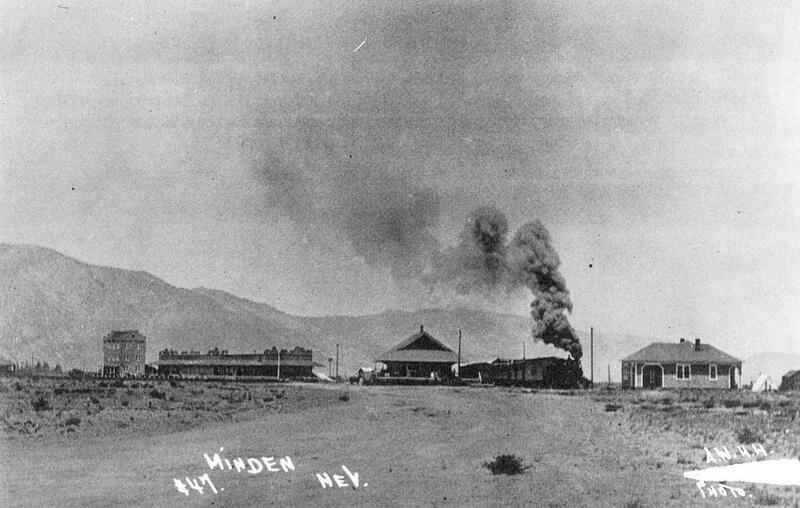 The Town of Minden owes its life to the Virginia and Truckee Railroad. But the reverse is kind of true too, at least in the later years of the railroad. The railroad entered the 20th century in a bad state. The mines of Virginia City had dried up. There was still passenger and freight traffic using the railroad between Carson City and Reno, but the times of high-profit gold and silver shipments were over. The railroad had been built to serve the boom years of Virginia City, and with those boom years over and the city becoming a ghost town, the railroad would need new revenues to stay afloat. 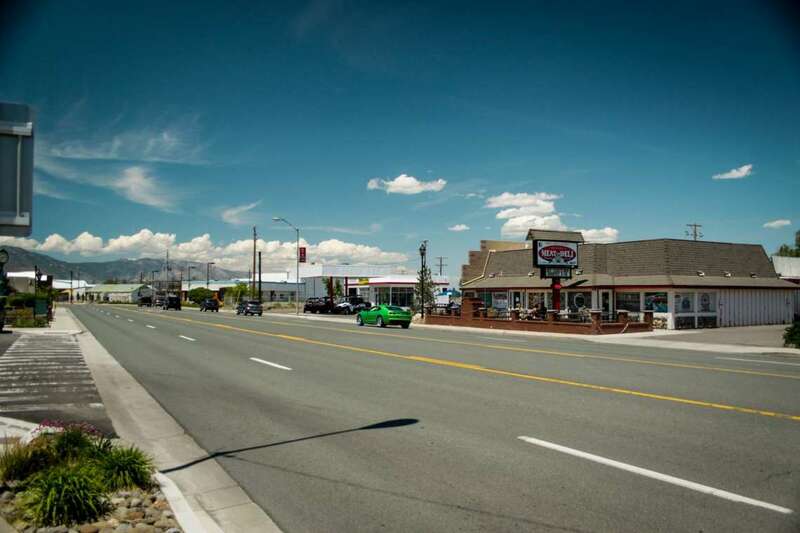 At the same time the residents of the Carson Valley were looking for ways to grow their businesses. They already had some of the best farmland in the state, but they had to rely on slow wagons to ship their products anywhere. 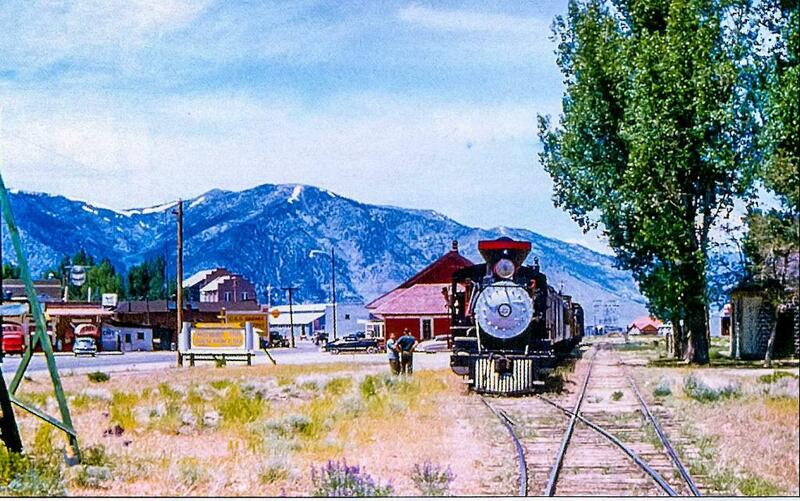 People in Gardnerville had been hoping for decades that the railroad could come down their way. H. F. Dangberg, Jr. was the heir of one of the pioneering ranching families in the valley, and he owned huge amounts of acreage in the center of the valley. Just after the turn of the century he made a deal with the railroad to give up some of his land, free of charge, for railroad right-of-way, so that the railroad could access the lucrative agricultural freight shipments. But this wasn’t a one-sided deal. Dangberg placed one condition on the railroad. 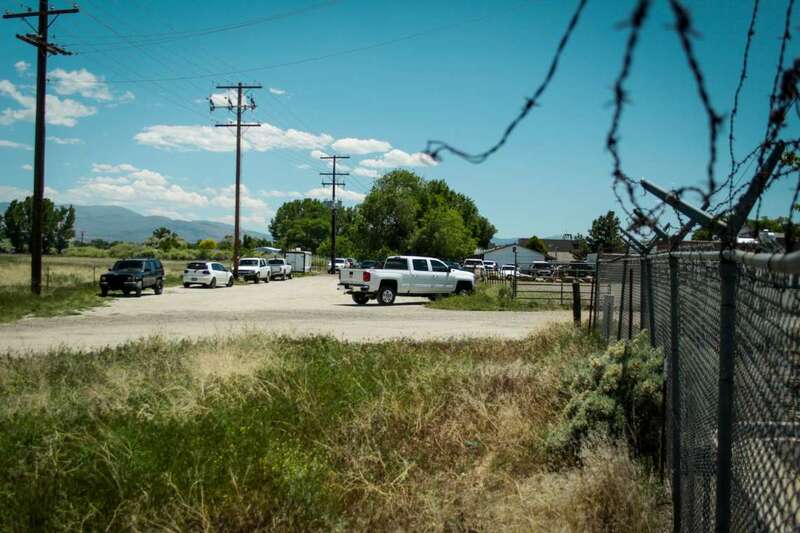 Instead of building the terminal in Gardnerville, he would only give them enough right of way to terminate the tracks in the middle of one of his cow pastures, a couple of miles away. By the time the tracks reached this point in 1906, Dangberg had laid out an entire new town. This shrewd real estate move suddenly made Dangberg’s land some of the most valuable in the valley. Industrial buildings sprung up around the new terminus, preparing hay, grain, and dairy products for shipment on the railroad. A downtown and residential neighborhood was built nearby. Wagonloads of goods from points further south, and even from Gardnerville itself, were bound for Minden to transfer their loads to the railroad. With one deal the railroad had a huge influx of business, and Dangberg had new avenues of profit. And it all started here, at the depot that the railroad was forced to build in the middle of a cow pasture. The railroad didn’t last forever, of course. Just as the wagons had their business severely affected by the coming of the railroad, the railroad itself was affected by the advent of automobiles and trucking. 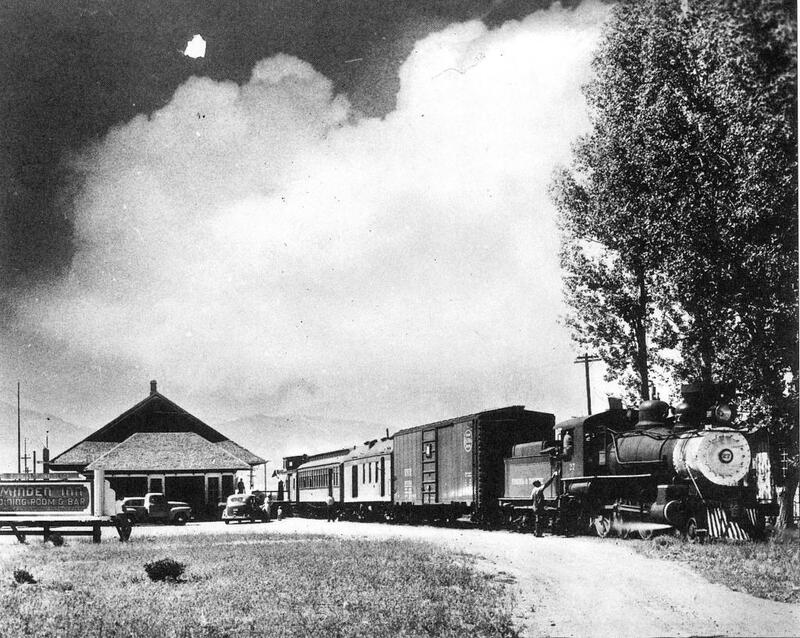 Only a few decades after opening up to the Carson Valley, the railroad was hurting again. This time there was no new revenue source to save them. The last train pulled out of Minden on May 31, 1950, on its way to Reno. It would never come back. 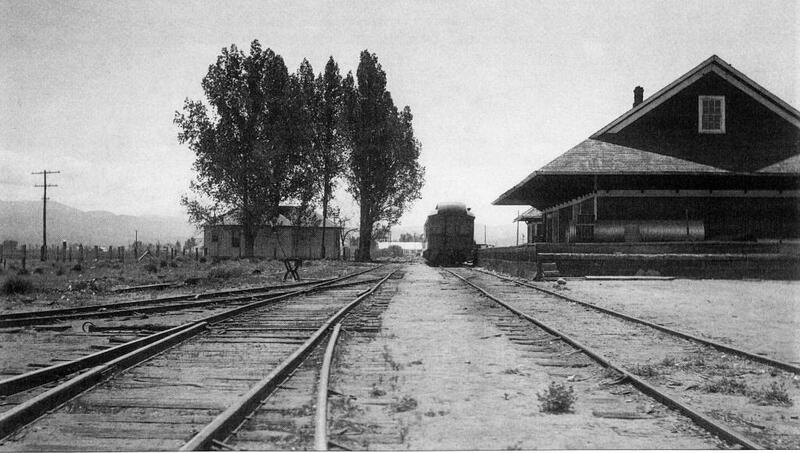 That fall the depot was moved to Gardnerville and used as a warehouse. Historic preservation wasn’t much of a thing back then, though, so it was eventually torn down. Today the site of the depot is occupied by a gas station/service station and a restaurant. The restaurant was built in 1962. Over the decades it has gone through a variety of owners and names. It started as Bunny’s Burgers. In the 70s it was known as Maddy’s. In the 80s and 90s it was Heidi’s. In the 2000s it housed a second location for B’Sghetti’s restaurant, and then was known as Jimmy G’s. For several years now it has been home to the Minden Meat and Deli. 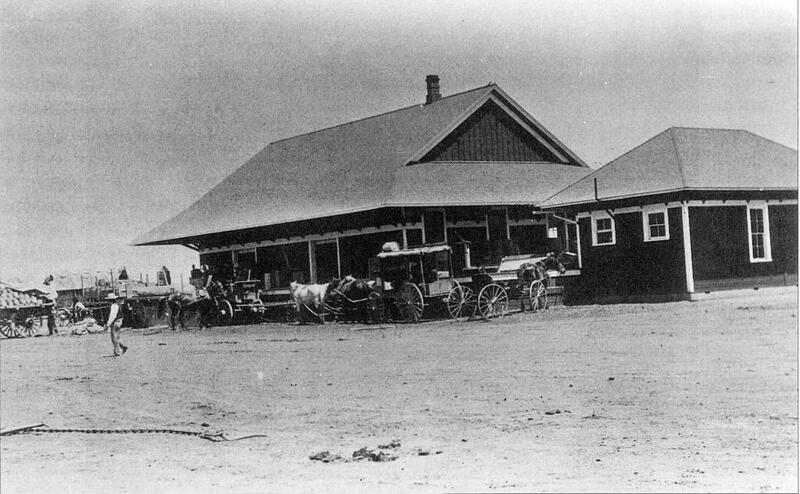 This land has now been home to a restaurant for longer than it was home to a train depot. But if the wind is just right you might still be able to hear a phantom whistle. A train sits at the depot on May 26, 1950, just a week before going out of service forever. A back view of the tracks and the depot’s platform. Today this is the Minden Meat and Deli’s back parking lot, seen below. A color view of the railroad’s last day.